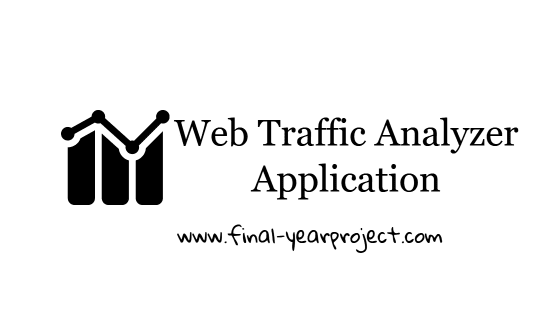 Web Traffic Analyzer is a good dot net project which can be used as a major project by the students. A web traffic analyzer is a web analytics tool that helps you track your web site traffic. A web traffic analyzer is a tool that you can use to monitor your web site traffic. Use this project for your reference and study. You can also Subscribe to FINAL YEAR PROJECT'S by Email for more such projects and seminar. In this project, user can see graphs, charts, page hits, daily visitors information and many other things. In this project you will find all the modules necessary for making your project.